The Peninsular Ranges are distinguished from surrounding provinces by their northwest-trending mountains and valleys. The ranges lie to the west of the northwest-trending San Andreas Fault and form along parallel fault systems including the San Jacinto, Elsinore, and Newport-Inglewood Faults. 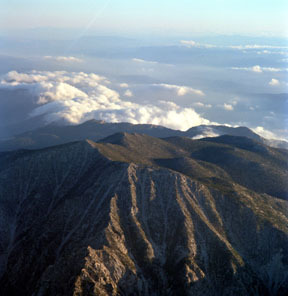 Structurally similar to the Coast Ranges, the geology of this province is closer to that of the Sierra Nevada, dominated by granitic bedrock.